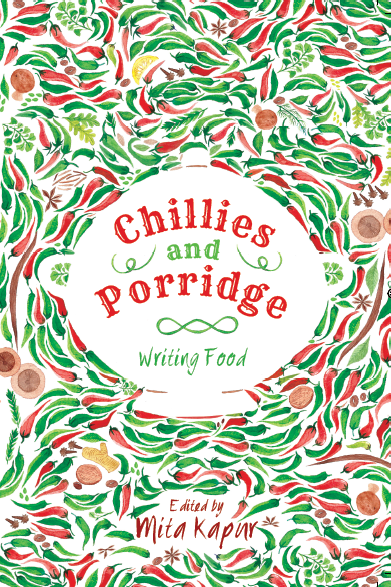 Chillies and Porridge- Writing Food came to me just at the time when I was starting my regimented diet – post a big fat Punjabi wedding and the festive gluttony of Diwali. Edited by Mita Kapur, founder and CEO of Siyahi, it features essays by some well known writers. Chillies and Porridge celebrates food- food as humble as the ordinary porridge and as crackling as the foreign chilli, which we Indians can’t live without now. It is interesting how people talk about food even when they are not eating. Many of our happy memories feature food- Mom’s special recipe, Granny’s parshaad, celebrating holi with freshly fried gujjia, chaat the moment one lands in India after a year abroad or graduation dinner at a Michelin starred restaurant!!! The book features essays by Anita Nair, Avtar Singh, Bachi Karkaria, Bulbul Sharma, Chitrita Banerji, Sumana-Jayaditya-Bikramjit, Floyd Cardoz, Janice Pariat, Jerome Marrel, Jhampan Mookerjee, Kai Friese, Karthika Naïr, Naintara M. Oberoi, Niloufer Ichaporia King, Mamang Dai, Manu Chandra, Nilanjana S. Roy, Rocky and Mayur, Saleem Kidwai, Sidin Vadukut, Srinath Perur, Tara Deshpande and Wendell Rodricks. Food brings us together as a family, as friends, even as strangers who chance to share a table at a hole in the corner joint; it opens up silences and creates shared moments, some laughter, and then you move on. But you carry the memory within the recesses of your mind, because you bonded over a food-laden table…. This anthology showcases a myriad of food essays strung together by the fragrant cord of flavour. Every essay is passionate and speaks of a distinctive culture. While some stories stimulate the tastebuds and also warm the soul, some pieces contain a plethora of little known food facts from different regions. According to Avtar Singh, ‘A Delhi morning doesn’t have to be about parathas’. His essay MEMORY’S SAVOUR enunciates the bond between mother and son and their shared love for telor balado – eggs with spicy chilli sauce. In TIA ROSA, Wendell Rodricks talks about how he learnt the basics of aestheticism in his aunt’s kitchen- his first lesson in subtlety, of flavours and fabrics. BONGS, BAWAS AND BIGOTRY is Bachi Karkaria’s spunky take on the hypocrisy of communities, as far as food is concerned. Witty yet true, the essay elaborates on how important the link between consumption and passage of food is. Very strongly Bachi points out…..Indians dish up global desi with a vengeance; we are willing and able to work on the wild side when it comes to creating Indi-Other Country Cuisine. But we draw the line at Indo- Other Indian creations. It’s a lakshmana rekha we do not cross…….In this Indian caste system, there’s an ‘untouchable’ strata: OPC, Other People’s Cooking….. In WALKS WITH LYLA, Niloufer Ichaporia King brings the food markets to life. The tour of the Mumbai markets entices. The same would hold true for any city or town with a varied and mixed heritage. Rocky and Mayur’s writing speaks of their lifelong friendship and shared food memories……Food always has been about relationships, emotions, memories and about the sheer joy of sharing an experience……. Growing up in a Delhi’s Uday Park, they reminiscence about the times when television viewing was restrictive and unlike today,when electronics keep children confined within their rooms, children from their era bonded over roadside cricket and shared food experiences in each other’s homes. Every essay speaks from the heart. In FLOYD’S CANTEEN, Floyd Cardoza’s love for fresh local produce brings back the age old philosophy ….cook with what is available in the market that day, no matter what the ingredient is. Manu Chandra’s COMING FULL CIRCLE shares his food memories with his grandparents and his journey from Delhi to The Culinary Institute of America. What stays with him is what he learnt at his grandparents……… Andaaz is one of the most beautiful word in Indian cooking which can never be quantified. It just happens! Equally hilarious and introspective is THE THINGS I WILL PUT IN MY MOUTH by Srinath Peru. …it’s silly to define a category as a negative of a smaller category, hence non vegetarian should be referred to as omnivore……The Indian omnivore is the centre of this essay. Srinath talks about how religion, caste, income and moral conscience dictate the food we consume( and sometimes on very specific days without any compromise). Every essay speaks of food memories and how taste transcends boundaries and times. The writings are interesting and witty and very similar to what all of us may have as our own food memories. Many a times I laughed out loud because my food memories, sensibilities and idiosyncrasies are similar! Artika Aurora Bakshi Artika co-manages thegoodbookcorner.com. She comes from a family of lawyers and has a master's degree in International Banking & Finance. Currently based in Sri Lanka, she teaches Commerce and History on a part-time basis at an international school and enjoys being part of the literary scene in Sri Lanka. A regular at the Galle Literary Festival and other literary events in Sri Lanka, Artika's articles and book reviews have featured in the Daily Mirror and Daily News and various blogs, such as, talkingcranes.com, sikhchic.com, sikhnet.com. She is actively involved with SAARC Women's Association of Sri Lanka. An avid reader, Artika runs an online book club with a membership base of over 600 members. Her passion for reading has led her to helping other writers with their manuscripts. 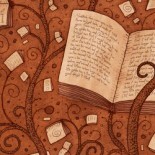 Her short stories have been published online and she is also working on her own novel. Artika has published My Little Sikh Handbook and is currently working on her second children's book, with Sikhism as its central theme. You can reach Artika at bakshiartika@gmail.com . This entry was posted on November 25, 2015 by artikabakshi in Book Reviews, Food and Drink, Non Fiction and tagged Anita Nair, Avtra Singh, Bachi Karkaria, Bulbul Sharma, Chillies and Porridge, Chitrita Banerji, Floyd Cardoz, Janice Pariat, Jerome Marrel, Jhampan Mookerjee, Kai Friese, Karthika Nair, Mamang Dai, Manu Chandra, Mita Kapur, Naintara M. Oberoi, Nilanjana S. Roy, Niloufer Ichaporia King, Rocky and Mayur, Saleem Kidwai, Sidin Vadukut, Srinath Perur, Sumana-Jayaditya-Bikramjit, Tara Deshpande, Wendell Rodricks.